AccorHotels has revealed that Mercure Dubai Barsha Heights Hotel Suites & Apartments, the world’s largest Mercure will open next month. Located on Dubai’s main Sheikh Zayed Road, the property is currently undergoing the first of a two-phase comprehensive refurbishment and is anticipated to open under the Mercure brand on 19 May 2017. 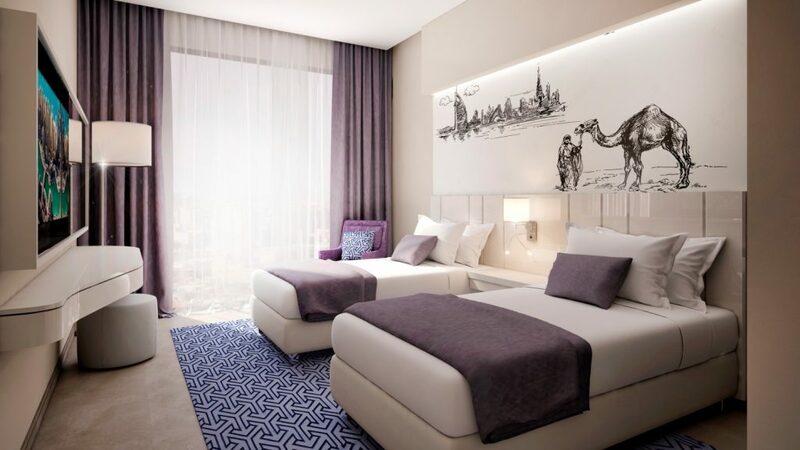 The refurbishment, which will continue until the end of 2018, will include the addition of more rooms, and once finished the 1,015-room hotel will become the largest Mercure property in AccorHotels’ global portfolio. Olivier Granet, managing director and chief operating officer of AccorHotels Middle East and Africa (MEA), said: “We are delighted to enter into another high-profile agreement with our existing and trusted partner to further elevate the Mercure brand within the United Arab Emirates with the largest Mercure hotel in our global network. The upscale hotel and apartments will include a mix of modern hotel suites alongside one and two bedroom apartments, as well as an all-day dining restaurant with a shisha lounge, two specialty restaurants, lobby lounge, health club, spa and swimming pool. The renovated property will also cater towards corporate clientele with over 400 square meters of meeting room facilities. The Mercure Dubai Barsha Heights Hotel Suites & Apartments joins the Mercure brand’s portfolio of 23 properties currently in operation and under development in the Middle East, and the redevelopment is designed to “revitalize an iconic property within the Emirate through the exacting and quality of Mercure’s brand standards” according to Granet. “This is reflective of AccorHotels’ commitment to expanding our presence across each market segment in order to accommodate guests’ expectations. With the Mercure Dubai Barsha Heights Hotel Suites & Apartments, we hope to further bridge this gap within the hospitality market especially as the UAE works towards its goal of attracting 20 million visitors by 2020,” he added.